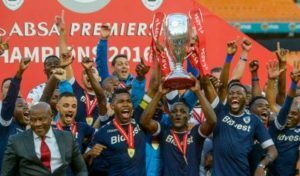 With the start of the 2017-18 PSL Season due to get underway, we spoke to two of the country’s leading football journalists to get their predictions for the season: featuring Joe Crann and Tiyani wa ka Mabasa. Senior Soccer Writer for Sowetan newspaper and analyst on SABC radio. Formerly of KickOff.com. Kaizer Chiefs. Of course they haven’t made the best signings, but what they have are players who are probably motivated to turn things around for the club like Siphiwe Tshabalala, Itumeleng Khune, Bernard Parker, Ramahlwe Mphahlele and Willard Katsande. Steve Komphela is in his third season in charge and may have learnt a lot over the past two seasons. It would be easier to write them off, but I think they are capable of turning things around. AmaZulu. Getting rid of coach Joey Antipas and replacing him with Cavin Johnson was late considering it was just over a week before the start of the league. Buying Thanda’s status was a bit late too. I’m also concerned that they didn’t make the kind of signings that inspire confidence. Themba Zwane: He’s been getting better with every match over the past season or so. Zwane is almost a complete player; can create, score and still help defend. He’s very important to Sundowns. He’s definitely one to watch. Abbubaker Mobara: Pirates need players who can lead by example and he’s shown he is capable. I expect even more from him during his second season with the club. Gabadinho Mhango: He’s not consistent, so if he can sort out that aspect of his game he could be vital for Wits. I expect a lot more from him. Teko Modise: Not surprising, the focus has been on his age (34). Teko is old, blah, blah, blah. I know him well and I know he enjoys the game. Write him off if you will, but he’s still got it. George Lebese: Change is good they say and Lebese, having finally left Kaizer Chiefs, has an opportunity to fulfill his true potential. I mean, he only really had a good season under Stuart Baxter at Chiefs a few years ago. He could flourish in a Sundowns team that has one of the best attacks in the league. Talent Chawapiwa: Chawapiwa who, you ask. Well, this Zimbabwean international will cause big problems for PSL defenders. My concern is that at Baroka he may not be in a team that plays to his strengths. Chawapiwa, however, is very dangerous down the wing. Keep an eye on him. Kobamelo Kodisang: I’m being a bit ambitious here, because breaking into that Wits eleven is no easy task let alone for a 17-year-od. Gavin Hunt, though, is the kind of coach who believes that if you are good enough you are old enough. Teboho Mokoena: The 20-year-old has done well for SuperSport United whenever given a chance and with that said, it will all depend on whether Eric Tinkler also has faith in him the same way Stuart Baxter did when he was at the helm. He’s a talented midfielder. Wiseman Meyiwa: For a 17-year-old, Chiefs’ new boy has shown he’s got a bright future having come through the junior national teams. Again, it all depends on whether he gets game time. Chippa United. They have a strong team after bringing in Mark Mayambela, Brighton Mhlongo and Kurt Lentjies. They will be an interesting team watch, no doubt. Peter Butler at Platinum Stars. Very tough call this season. 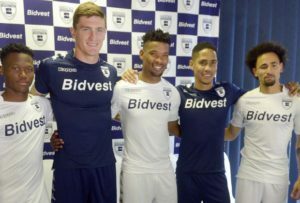 My immediate gut is saying Wits because they’ve kept the bulk of their squad and really beefed up well. Sundowns and SuperSport should both really challenge too. I don’t think Baroka have done enough in terms of bringing the right players in and think they could struggle again. AmaZulu might battle being back too, although their recruitment has been better. Thulani Hlatshwayo – Was brilliant last season and seems to be improving every year. Percy Tau – Will depend on his own personal progression, but if he can find some consistency then he can be a superstar in SA. Thabo Mnyamane – Came on leaps and bounds in his first season with SSU, could push on to greater heights this season. Michael Morton – Could prove to be a snip after AmaZulu got him for free. Absolute soldier and exactly what Usuthu are going to need. Daylon Claasen – There’s no doubting his ability, and if he hits the ground running then his free transfer could be one of the signings of the season. Siyanda Xulu – If Xulu can get back to how he was before Chiefs then he could be an amazing purchase for Maritzburg. Cost them nothing, too. Kobamelo Kodisang – Proper little player who’s moved to the league champions. We could see some Mahlambi-esque progression here. Grant Margeman – Excited to see how this youngster does in his second season, was very solid for Ajax last time around. Sipho Mbule – Following Tebogo Mokoena’s rise last year, I think we could see something similar from Mbule. Very talented youngster. I’m not sure it’s a ‘surprise’ but I think we might see some marked improvement at Orlando Pirates this time around. Owner of football-analysis.com, UEFA B Licenced coach, Performance Analyst at STATS. Tough to call as always, and with Wits’ new additions they probably start the season as favourites. The loss of Buhle Mkhwanazi could really affect them though. I don’t see Pirates or Chiefs turning their fortunes around from last season to such an extent that they could actually lift the title. Supersport and Sundowns are definitely contenders too, and City could push again even with Lebogang Manyama potentially on his way out, and Aubrey Ngoma to follow once he regains fitness. My bet would be Sundowns. They are still the best side in the league, and coach Pitso Mosimane has done some impressive succession planning with the additions of guys like Zakri and Hachi, plus Madisha’s recent rise to the starting XI, with numerous clean sheets since he came into the back four. If Billiat stays, as expected, then with him, Tau and Themba Zwane, Sundowns definitely look like the side to beat. Platinum Stars. After the bizarre decision not to renew coach Cavin Johnson’s contract and appointing Peter Butler, they had a poor transfer window in losing Mabena and Phiri and their squad now has four target men and several defensive midfielders, but is lacking in creative midfielders and good wingers so it’s difficult to see how they will score goals. Musa Nyatama: The attacking midfielder looks a great replacement for Oupa Manyisa, giving more attacking threat to Pirates in midfield, either from a number 10 role or as a deeper midfielder who can start attacks. He could form a really strong partnership with Thamsanqa Sangweni. Jeremie Brockie: A boring and predictable player to go for here, but there’s no denying Brockie’s potency in front of goal. However, a big part of the reason I’ve gone for him is because of his impressive partnership and understanding with Bradley Grobler. The intelligence and link-up play of the latter should mean Brockie gets even more goals than usual. Lebohang Maboe: The Maritzburg midfielder was superb last season and in a 343 or 352 formation this season, he will get a lot of license to bomb forward from midfield with his dribbling and passing ability. I can see Maritzburg playing very attacking football, at a high tempo, which will really suit Maboe’s game. Lyle Lakay: With the long-term knee injury to Aubrey Ngoma and Sundowns said to be looking to sign him when he returns to fitness, Cape Town City moved for Lakay. He has a great left foot, excellent crossing and set-play ability and is one of those players who just churns out assist after assist. He is the ideal Ngoma replacement and I could see him finishing near the top of the PSL assist-charts this season. Siyanda Xulu: A free signing from Kaizer Chiefs, he will have a big point to prove at Maritzburg United this season, playing a back three. James Okwuosa: Perhaps a surprising choice, but Chippa United really missed him last season after he joined Orlando Pirates (where he was treated terribly and only given one appearance) and he will come in and immediately settle down the Chilli Boys’ backline and help to ensure the side don’t find themselves in another relegation battle. Kobamelo Kodisang: No doubt here. Wits did great business to pick him up for free and with Phakamani Mahlambi set to move overseas, Kodisang can surprise a few people especially with Elias Pelembe and Daine Klate starting to show their age. He can play wide or as a number 10 and is a very explosive player. Thabo Nodada: After the departures of Thato Mokeke and Given Mashikinya, Cape Town City have less options in central midfield so Nodada should play a lot more games. Although he is a defensive midfield, he has a really positive range of passing and is calm on the ball, whilst also having the athleticism to press in the centre of the park. Siphesihle Ndlovu: The Maritzburg man is going to surprise a lot of people. He is capable of playing as a defensive midfielder or as a left wingback and he has all the tools to excel in other positions too. He can tackle, dribble, cover an entire flank, or play box-to-box. In a high tempo, attacking team, he could be one of the league’s better players. Maritzburg United, without doubt. The side were excellent all of last season, even under Ernst Middendorp where they gave numerous outstanding performances without getting the results they deserved. This season, under the Davids brothers, (head coach) Fadlu and (assistant coach) Maahier, and with a new analyst in their ranks, they are going to be a force to be reckoned with. They also signed well (Xulu especially) and held on to big players like Evans Rusike, Deolin Mekoa and Brian Onyango. Surely Sammy Troughton. Why on earth Free State Stars appointed him is beyond me. He is limited tactically and has not been a successful head coach in the PSL before. I give it 6 games before he is sacked.